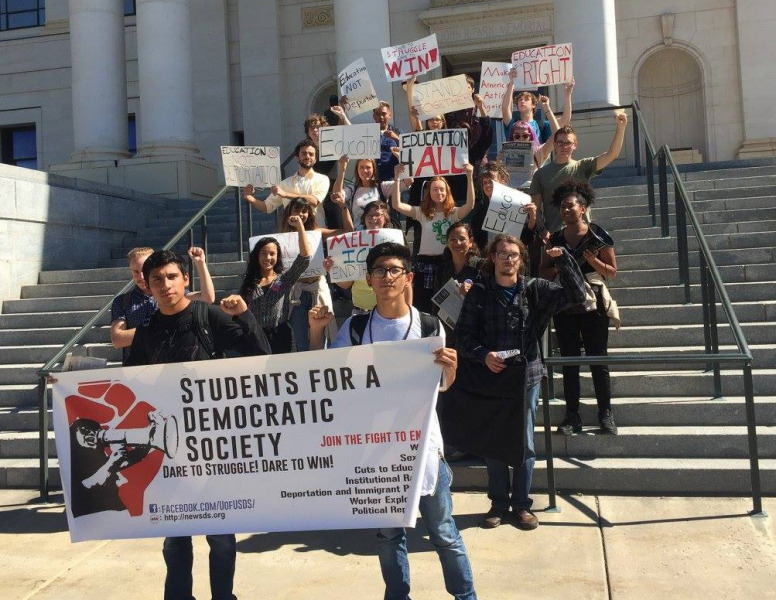 Utah SDS demands education for undocumented students | Fight Back! 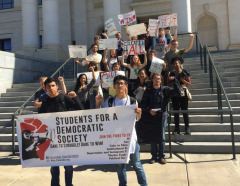 The U of U Students for a Democratic Society (SDS) is fighting for state-funded scholarships for undocumented people. It is part of a national SDS campaign that demands increased enrollment of Black and Latino students, equal access to education for undocumented students, and free tuition for all public universities. In 2009, the Utah Legislature passed Senate Bill 81, which restricts undocumented students’ access to state-funded scholarships. Many students rely on these scholarships to attend college and gain a higher education. By not allowing undocumented people access to these scholarships, it is much more difficult to pay tuition. It restricts these individuals right to receive an education and advance in life. “My parents came to the U.S. just two weeks before I was born. Although I am a legal citizen of the U.S., would I not be the same person if I had been born two weeks earlier? Does the arbitrary timing and place of birth change me as a person? I don’t need a piece of paper to tell me I have a right to an education and undocumented students shouldn’t either!” said Shirley Reyes of SDS. Students at the University of Utah are determined to build the struggle on campus and fight for equal access to state-funded scholarships for undocumented people.